The internet is abuzz with dire predictions surrounding the release of a more potent form of hydrocodone. Two drug companies have announced their intent to release a hydrocodone pill with a higher content of hydrocodone, with no acetaminophen. Currently, hydrocodone is available in doses of 5, 10, and 7.5mg per pill, combined with 325 or 500mg of acetaminophen (generic drug name of Tylenol). Teva Pharmaceuticals, based in Israel, has announced their intention to release a newer, higher potency form of hydrocodone that contains 45mg per pill. If it’s approved by the FDA, it will contain over four times the opioid firepower in one pill that the next highest dose now on the market. 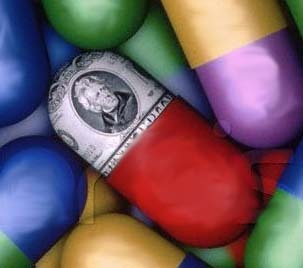 Teva pharmaceutical is predicting up to $500 million in sales. It’s a little early to start saying we’re going to have another OxyContin on our hands. Since 2009, the FDA demands each pharmaceutical company that manufactures powerful opioids have a plan in place, prior to the release of a new medication, to reduce the risk of harm to the public. 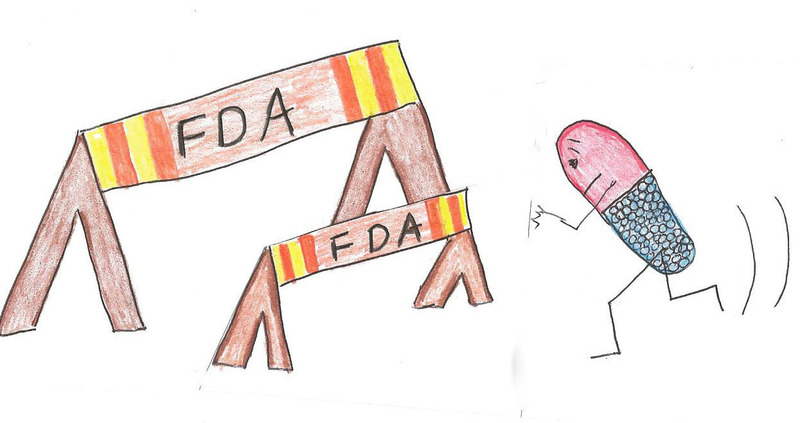 This program is called “REMS” for “risk evaluation and mitigation strategy.” Before a higher strength hydrocodone can be released, the manufacturer must assure the FDA that all proper precautions are being taken to avoid excessive misuse and addiction. We will never reduce medication misuse to zero, but we can learn from the past, and use available technologies to reduce the potential for drug misuse, to prevent another version of the OxyContin situation. Teva calls its product “TD” because it’s tamper deterrent, but I can’t find any information on which technology they plan to use. It will be a sustained-release preparation that is taken once every 12 hours. Another company, Zogenics, is preparing to release Zohydro, their brand of higher dose version of hydrocodone. They say their version contains no tamper-resistant technologies. Do we need another high potency, long-acting opioid for pain? And do we need it at a time in history when we’re on the crest of an opioid addiction epidemic? Some experts say yes, for a startling reason: We are seeing liver failure from acetaminophen overdoses. There’s not a wide margin of safety with acetaminophen. The upper limit of what’s considered to be safe is about 3 grams per day of acetaminophen, but if the person has underlying hepatitis B or C, or damage from alcohol ingestion, not even 3grams is a “safe” dose. Some hydrocodone preparations now contain 500mg per tablet, so even at therapeutic doses that’s coming close to a toxic level of acetaminophen. Opioid addicts often take much more hydrocodone than prescribed, regardless of the amount of acetaminophen. Addicts often take 15 or 20 pills of hydrocodone per day, which could be as much as 10grms of acetaminophen per day. And they take this day after day. An ordinary person might ask, “Why would anyone take the risk of damaging their liver like that?” But that’s addiction. Addiction is about loss of control. I’ve heard dozens of addicts entering treatment voice concerns they’ve damaged their livers because of pain pill use. They describe the curious predicament of taking pills because the addiction compels them to do so, all the while hoping they won’t die from liver failure. It’s a strong statement about the strength of addiction. While acetaminophen-free hydrocodone may not trash your liver, it can still trash your life, if you become addicted. Larson AM et al, “Acetaminophen-induced Acute Liver Failure: Results of a U.S. Multicenter, Prospective Study,” Hepatology, 2005;42:1364-1372. In the 1980’s, President Ronald Reagan helped guide the thinking of the nation, and emphasized law enforcement as the solution to the war on drugs. The War on Drugs was born. Spending increased for police and other enforcement agencies, but decreased for addiction research and addiction treatment. When crack cocaine captured the attention of America in the mid-1980’s, it re-ignited old fears. As in times past, what people thought of drug addicts depended in part on who was addicted. There was much rhetoric about the nature of crime committed by minorities, addicted to drugs, and of crack babies, based more on media exaggeration than on science. As a result, the drug laws were again re-written. During the Reagan years, laws were passed that were quite similar to the draconian Boggs Act of the 1950’s. The death penalty was even re-introduced for drug dealers, under certain circumstances. Laws mandating sentences for simple possession were resurrected, and in general, drug laws were set back to the way they were thirty years prior. Parents of the 1980s observed with alarm the rise in cocaine abuse, with its hazards and easy availability. They leapt into action, by forming the Parent’s Movement. They were a powerful political voice that helped coerce lawmakers into passing tougher drug laws. The American public had once again demanded more punitive drug laws. Shortly before the first of the George Bushes took office in 1989, the 1988 Anti-Drug Abuse Act was passed, which re-organized the bureaucracies assigned to overseeing the drug addiction problems of the nation. Under this Act, the Office of National Drug Control Policy (ONDCP) was formed, and William Bennett was designated drug czar. This agency was given the task of monitoring all of the anti-drug programs in government agencies. The forerunner to the Center for Substance Abuse Prevention (CSAP) was formed in the Substance Abuse and Mental Health Services Administration (SAMHSA). There was much fanfare about new policies, which would both emphasize a zero tolerance toward drug use and also give more attention to treating addiction. However, Bennett resigned abruptly and the fanfare fizzled. When Clinton took office in 1993, he cut funding for the ONDCP by eighty-three percent, and exhibited a general lack of interest in addiction and its treatment. His Surgeon General, Jocelyn Elders, angered many when she appeared to advocate legalization of drugs. (2) Probably in response to public pressures, and concerns about the rising rate of marijuana use among adolescents, Clinton publically announced a new attack on drugs, just before the next election year, and nominated Barry McCaffery to head the revived ONDCP. Throughout the 1990’s, heroin purity on the U.S. streets was gradually increasing. In 1991, heroin was about twenty-seven percent pure, while by 1994, it had risen to forty percent. That was a dramatic increase in purity, compared to 1970’s and 1980s, when an average purity of three to ten percent was found in U.S. cities. Many potential addicts, scared off cocaine by high profile deaths of people like Len Bias and John Belushi, turned to experimentation with heroin. (1). Columbian drug cartels, diversifying from dealing only with cocaine, began selling heroin to meet an increasing demand by the U.S. Because heroin was so pure, it could be snorted, rather than injected, and many people who balked at injecting a drug would snort it, and did. By 1997, heroin accounted for more treatment center admissions than did cocaine. (2). “Heroin chic”, a trend of thin and ill-looking models as the ideal of beauty, came into vogue in the mid-1990s. At that same time, in the mid-1990s, several more ingredients besides higher potency heroin were thrown into the simmering caldron of opioid addiction: the pain management movement and access to controlled substances over the internet. Then, with the release and deceptive marketing of OxyContin, the cauldron began to boil. 1. David Musto, The American Disease: Origins of Narcotic Control, 3rd ed., (New York: Oxford University Press, 1999) p 274. 2. David T. Courtwright, Dark Paradise: A History of Opiate Addiction in American, (Cambridge, Massachusetts, Harvard University Press, 2001) pp180-181. Following is an interview with a successfully recovering opioid addict. He received treatment at methadone clinics off and on for years, and finally achieved medication-free recovery after going to an inpatient treatment program for 42 days. Later, he began to work in the field of addiction treatment as a methadone counselor. He was promoted multiple times over the years to his present position as director of the narcotic treatment program at his clinic. This is his perspective about his own experience and what he’s seen with methadone treatment. JB: Can you tell me your title at the opioid treatment clinic where you work? JB: Can you please tell me about your own opioid addiction, and how you got into recovery, including what kind of substances you may have used, what kind of treatments, and your experiences with them? KS: I started out using pain killers, mostly Percodan tablets, back in the late 70’s, which lead me to using heroin. Heroin wasn’t easy to get [where I lived], so I started using Dilaudids [a name brand of the drug oxymorphone]. I started using Dilaudid on a regular basis in the county I lived in. That was the primary drug I used for quite a few years. [My] first experience with methadone treatment started in 1978, with a brief episode of treatment, a matter of a month or so, with no success. Pretty much during the 1980’s, I was on and off methadone programs with little or no success, because I refused to participate in group or individual sessions. At the time, there was very limited counseling going on [at methadone clinics]. If there was a problem, you saw your counselor, and that didn’t happen a whole lot. Patients were simply trying to get more methadone. At that point, the methadone dosages were very low. I think the average dose back then was somewhere between forty and fifty milligrams. And we [patients on methadone] didn’t know that. We didn’t know that. We just found out through…. JB: You didn’t know what dose you were taking? KS: Oh, no. We didn’t know what dose we were taking, for a number of years. As a matter of fact, that didn’t change until right before 2001. KS: We were blind dosed then. That didn’t change until just before 2001. JB: Was that unusual for methadone clinics to do? KS: To my knowledge, I think we [the clinic where he now works, and previously was a patient] were one of the last ones to keep doing that. It was just something we had done over the years and never changed it. [The patients] didn’t know what their dose was. Through the 1980’s, I was on and off methadone programs, sometimes for a few years at a time, and sometimes had some success. The biggest benefit I had from taking methadone and being on the program was that I was able to work. I held a job the entire time, and I wasn’t doing anything criminal. It served the purpose it was supposed to serve there, because I had to work, and I was able to function fairly normally. But I never moved into actual recovery, and still used some opiates from time to time. So that was pretty much the 80’s. Two good things happened in the 80’s. In 1981 my son was born, and in 1989, I got clean. KS: Two monumental things in my life. So, I went through that period of time I had talked about, when I started using opiates, in about 1974. Then I started getting on the methadone programs, on and off, [starting] from ’78, but I continued to use. I was using Dilaudids on a daily basis for a number of years. When I got on the methadone program, I would curtail that, but always wanted to go back to Dilaudid. That [Dilaudid] became my drug of choice. And that’s what happened. I said, “I don’t think I can do this. I’ve got some things to do.” And I remember it like it was yesterday. The counselor got up and walked out of the room and he left me sitting there by myself. Then he walked back in, said, “We’ve got you a bed.” And that’s what lead me to [inpatient treatment]. JB: Do you have any regrets about either type of treatment? The forty-two day inpatient or the methadone? KS: I do believe that in my case, I needed to be taken away from my environment, simply because of the people I was associated with. That’s not the case for everyone. In my case, I needed to be away from my environment. So the detoxing from the methadone and going into a residential program, that’s what worked for me. Obviously, people can do that other ways. But I still had people in my life that were negative influences. JB: If you had an opioid addict who presented for treatment for the first time, what would you recommend? If money were no object? KS: I’d recommend that individual seek inpatient treatment. Now, if they had an extended history of opiate dependency, then that person’s success rate in residential treatment is obviously going to be limited….and…it would just depend on the individual. Methadone treatment might be the way for them to go. I know that’s kind of teetering on the fence. I’m going to be somewhat….I’m going to hold on to how powerful residential treatment was for me. But I had failed at methadone treatment. And, there again, it was a different time, the methadone doses weren’t enough at the time. JB: Did you feel normal on your dose of methadone or did you [still] feel withdrawal? KS: I was feeling normal, however, I could still feel drug use [other opioids]. JB: So it wasn’t a blocking dose? It was not a blocking dose. You knew if you got medicated at 7:00 am, at 5:00 pm you could fairly well feel somewhat of a rush and feel the effects of [other opioids]. JB: How did you get started working in the field of addiction treatment? KS: I came out of treatment, worked for a family business for a couple of years, and always, from day one, I thought, “What a fascinating thing….if I could somehow do this…to get into that line of work [meaning addiction counseling]. I started, after two years, as an evening counselor at a residential treatment program, and saw that I really wanted to do that. There was an avenue for non-degreed people to come in to a counselor position. You didn’t have to have a degree in substance abuse or anything like that, so I pursued that, and followed the certification process. I didn’t work in residential treatment but nine months, and then moved to methadone counseling. From that point on, I had found what I wanted to do. And I’ve been offered a promotion at the treatment center to another department when I was over the methadone program, and turned it down to stay with that population [meaning opioid addicts in treatment on methadone]. JB: So you obviously enjoy it. JB: What did you like about it? KS: I think my ability to relate to that population, without having any thought or putting any real effort…I don’t have to think about it. I know I can talk to that population, and I know I can make them feel normal, by just holding a conversation with them….it might not be about drug use. It might not be about anything pertaining to the treatment episode, but I feel like…that I know exactly where they’re coming from, and I can give them some hope that they don’t have to keep living that way. Just an identification with that population. JB: That’s a precious gift. JB: Do you believe that your background in addiction helps you when you talk to patients? KS: I do. I believe wholeheartedly that you can’t teach that. I’ve had some people work for me who had a graduate degree, have never personally had an incidence of opioid addiction or any addiction in their family, and they’re absolutely fantastic clinicians. And you know they’re in that line of work for a reason. So [personal experience with addiction] does not need to be a criterion; in my case, it helps. I find it fascinating to watch someone work who has no self-history of addiction. They can be very effective. JB: What are the biggest challenges you face now at your work? KS: That would be…documentation. [The demand for] documentation in this field has really overcome the interpersonal relationship. I can’t help but think as time goes on, that’s going to continue. We don’t have twenty or thirty minutes to sit down with a client, and get into one issue after another, or whatever [the client] may have on their plate. And in opioid treatment, a lot of times it’s brief therapy. They [patients] don’t want to talk to you for twenty or thirty minutes. But you don’t have time to do that, because of the documentation. [The counselor has] three people waiting in the lobby, and you’re kind of selling that person short. The documentation standards continue to rise, and in methadone treatment, I don’t know how that can go hand in hand with a fifty to one case load. Whereas, someone else might have the same documentation required in the mental health field, but they might have sixteen people they’re seeing. JB: So you’re saying that the state and federal regulations about documentation actually interfere with the amount of counseling the patients get? The clinic where you work has eight different sites. Can you tell me about what sort of interactions you’ve had with the community leaders, local police, and medical community? KS: Overall, with any opioid treatment program [methadone clinic], there’s going to be a negative stereotype associated with it in the community, as you well know. Local law enforcement has a bias [against] the [methadone] program. What we’ve found is, any interaction we have with them, and the better understanding that they have [of what we do], the better. And I believe we can make a difference in what law enforcement, and other areas of the community [think about methadone programs]. It’s going to have to happen one person at a time. An example of that would be when I got a call, a couple of weeks ago, to one of the clinics at ten o’clock at night. An alarm is going off. So I meet the police out there, and we go in, make sure nobody’s in the building. I’m trying to give him some information about it [the methadone program]. He says, “Is it true they come in every day and ya’ll shoot ‘em up?” (laughter) So he thinks that’s what happens. So, I educated him on what we do and followed that up with, “Why don’t you stop by and get coffee any time you want to and we’ll give you information.” They were very receptive to that. That’s how you’ve got to approach it. Be willing to talk to people and give them information. [Do the] same thing with community leaders. They’re just not educated in outpatient opioid treatment. Once they get some information, they seem to have a different take on it. JB: Can you tell me what you’ve seen, particularly over the last seven years, about the types of populations that are coming to the clinics, and if that’s changed any? KS: I started working in methadone treatment seventeen years ago. We used to have statistics on the methadone program. The average age of a person coming on the program was thirty-four years old, at that time. We had eighty or ninety people on the program and that was it. And they were long term users, primarily heroin as drug of choice. We’ve seen what’s happening over the years. Heroin has decreased somewhat. Prescription medications went wild. I just read information that forty-four percent of patients entering methadone programs in the nation were on prescription opioids. The age of the person coming on the program has dropped from thirty-four into their late twenties. I don’t have that exact number. But we’ve seen them get younger, and we’ve seen prescription drugs take the place of heroin, in driving people into treatment. JB: What seems to be the main type of prescription drug, or is there one? KS: OxyContin changed the landscape in our setting. It’s still a driving force, as far as putting people into treatment. We have an increase in heroin here, but the western part of the state…OxyContin and morphine are on the scene….and any painkiller. JB: Do you have any opinion about why that happened? 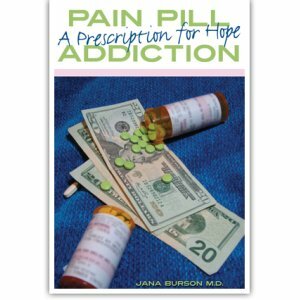 Why the incidence of pain pill addiction seemed to rise over the last seven to ten years? JB: If you had the ear of policy makers in Washington D.C., what would you tell them? 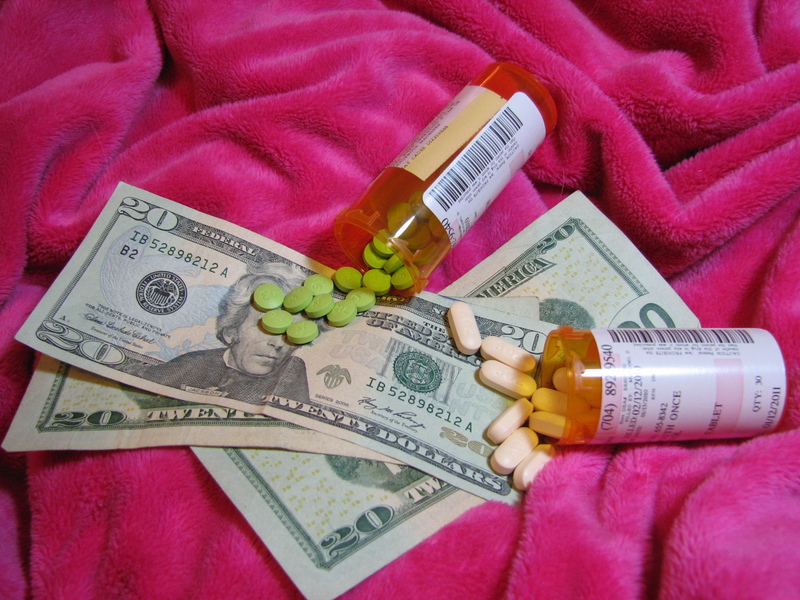 What would you like to see happen in the treatment field for opioid addiction? KS: I’m going to refer back to what I said earlier. In methadone treatment, there should be some kind of review, as far as what needs to be documented. Obviously, there needs to be accurate documentation, but not to put methadone or opioid treatment into the same mental health arena for documentation requirements. Because you’re dealing with a different environment, a different population, and a different caseload. 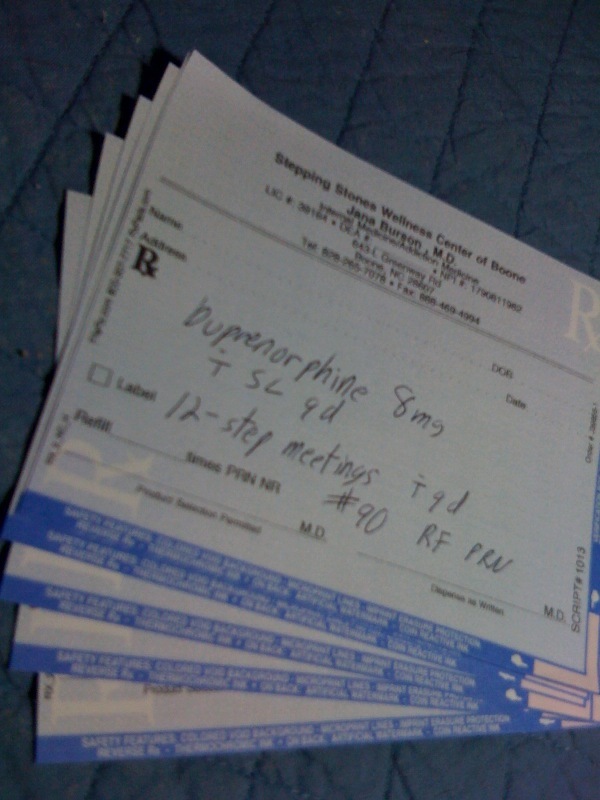 JB: Would you like to see buprenorphine play a role [at the methadone clinic]? KS: Yes, there’s a need for it. You’ve got such a stereotype against methadone facilities, that’s another avenue for people to be in treatment [meaning buprenorphine]….whether it’s administered in the methadone facility or [community] doctor-based, there’s a need for that. This interview was with one of the many wonderful people I’ve had the honor of working with at methadone clinics. In my years of work in the medical field, I’ve never been surrounded by as many quality people, who had passion for their work, as I have in addiction medicine. I don’t know if I’ve been extremely lucky, or if all addiction treatment centers draw dedicated individuals to work within their systems. Many of these workers try hard to dispel the stigma and social isolation that addicts feel. The following is an excerpt from Chapter 2 of my book, titled, “Pain Pill Addiction: Prescription for Hope.” In this chapter I’m describing the patients I saw at methadone clinics where I worked in the years 2001 through 2009. I was surprised how casually people shared controlled substances with one another. As a physician, it seems like a big deal to me if somebody takes a schedule II or schedule III controlled substance that wasn’t prescribed for them, but the addicts I interviewed swapped these pills with little apprehension or trepidation. Taking pain pills to get through the day’s work seemed to have become part of the culture in some areas. Sharing these pills with friends and family members who had pain was acceptable to people in these communities. In the past, most of the public service announcements and other efforts to prevent and reduce drug use focused on street drugs. Many people seemed to think this meant marijuana, cocaine, methamphetamine, and heroin. The patients I saw didn’t consider prescription pills bought on the street as street drugs. They saw this as a completely different thing, and occasionally spoke derisively about addicts using “hard drugs.” Most addicts didn’t understand the power of the drugs they were taking. Some opioid addicts came for help as couples. One of them, through the closeness of romance, transmitted the addiction like an infectious disease to their partner. Most were boyfriend/girlfriend, but some were married. The non-addicted partner’s motives to begin using drugs seemed to be mixed. Some started using out of curiosity, but others started using drugs to please their partner. I was disturbed to see that some of the women accepted the inevitability of addiction for themselves as the cost of being in a relationship with an addicted boyfriend. Often, addicted couples socialized with other addicted couples, as if opioid addiction bound them like a common fondness for bowling or dancing. Addiction became a bizarre thread, woven through the fabric of social networks. We saw extended family networks in treatment for pain pill addiction at the methadone clinics. One addicted member of a family came for help, and after their life improved, the rest of the addicted family came for treatment too. It was common to have a husband and wife both in treatment, and perhaps two generations of family members, including aunts, uncles, and cousins. Many addicts who entered treatment saw people they knew from the addicted culture of their area, and sometimes old disputes would be reignite, requiring action from clinic staff. Sometimes ex-spouses and ex-lovers would have to be assigned different hours to dose at the clinic, to prevent conflict. When the non-profit methadone clinic where I worked began accepting Medicaid as payment for treatment, we immediately saw much sicker people. Over all, Medicaid patients have more mental and physical health issues. Co-existing mental health issues make addiction more difficult to treat, and these patients were at higher risk for adverse effects of methadone. However, data does show that these sicker patients can benefit the most from treatment. When I started to work for a for-profit clinic, I saw a slightly different patient population. I saw more middle class patients, with pink and white-collar jobs. Occasionally, we treated business professionals. The daily cost of methadone was actually a little cheaper at the for-profit clinic, at three hundred dollars per month, as compared to the non-profit clinic, at three hundred and thirty dollars per month. However, the for-profit clinic charged a seventy dollar one-time admission fee, to cover the costs of blood tests for hepatitis, liver and kidney function, blood electrolytes, and a screening test for syphilis. The non-profit clinic had no admission fee, but only did blood testing for syphilis. I believe the seventy dollars entry fee was enough to prevent admission of poorer patients, who had a difficult enough time paying eleven dollars for their first and all subsequent days. The patients at the for-profit clinic seemed a little more stable. Maybe they hadn’t progressed as far into their disease of addiction, or maybe they had better social support for their recovery. This clinic didn’t accept Medicaid, which discouraged sicker patients with this type of health coverage. Both clinics were reaching opioid addicts; they just served slightly different populations of addicts. The non-profit clinic accepted sicker patients, which is noble, but it made for a more chaotic clinic setting. This was compounded by a management style that was, in a few of their eight clinics, more relaxed. For the seven years I worked for a non-profit opioid treatment center, I watched it expand from one main city clinic, and one satellite in a nearby small town, to eight separate clinic sites. The treatment center did this because they began to have large numbers of patients who drove long distances for treatment. This indicated a need for a clinic to be located in the areas where these patients lived. Most of this expansion occurred over the years 2002 through 2006. Three of these clinics were located in somewhat suburban areas, within a forty-five minute drive from the main clinic, located in a large Southern city. The other four clinics were in small towns drawing patients from mostly rural areas. One clinic was located in a small mountain town that was home to a modest-sized college. Nearly all of the heroin addicts I saw in the rural clinics were students at that college. But by 2008, we began to see more rural heroin addicts, who had switched from prescription pain pills to heroin, due to the rising costs of pills. Within a few years, clinics near the foothills of the Blue Ridge Mountains of Western North Carolina were swamped with opioid addicts requesting admission to the methadone clinics. These clinics soon had many more patients than the urban clinic. I saw racial dissimilarities at the clinic sites. In the city, we admitted a fair number of African Americans and other minorities to our program. Most of them weren’t using pain pills, but heroin. I don’t know why this was the case. Perhaps minorities didn’t have doctors as eager to prescribe opioids for their chronic pain conditions, or perhaps they didn’t go to doctors for their pain as frequently as whites. If they were addicted to pain pills, maybe distrust kept them from entering the methadone clinic. In the rural clinics, I could count the number of African-American patients on one hand. They were definitely underrepresented. The minorities we did treat responded to treatment just as well. A recent study of physicians’ prescribing habits suggested a disturbing possibility for the racial differences I saw in opioid addiction. (1) This article showed statistically significant differences in the rate of opioid prescriptions for whites, compared to non-whites, in the emergency department setting. Despite an overall rise in rates of the prescription of opioid pain medication in the emergency department setting between 1993 and 2005, whites still received opioid prescriptions more frequently than did Black, Asian, or Hispanic races, for pain from the same medical conditions. In thirty-one percent of emergency room visits for painful conditions, whites received opioids, compared to only twenty-three percent of visits by Blacks, twenty-eight percent for Asians, and twenty-four percent for Hispanic patients. These patients were seen for the same painful medical condition. The prescribing differences were even more pronounced as the intensity of the pain increased, and were most pronounced for the conditions of back pain, headache, and abdominal pain. Blacks had the lowest rates of receiving opioid prescriptions of all races. This study could have been influenced by other factors. For example, perhaps non-whites request opioid medications at a lower rate than whites. Even so, given the known disparities in health care for whites, versus non-whites in other areas of medicine, it would appear patient ethnicity influences physicians’ prescribing habits for opioids. The disparities and relative physician reluctance to prescribe opioids for minorities may reduce their risk of developing opioid addiction, though at the unacceptably high cost of under treatment of pain. Interestingly, we had pockets of Asian patients in several clinics. We admitted one member of the Asian community into treatment, and after they improved, began to see other addicted members of their extended family arrive at the clinic for treatment. Usually the Asian patients either smoked opium or dissolved it in hot water to make a tea and drank it. When I tried to inquire how much they were using each day, in order to try to quantify their tolerance, the patient would put his or her thumb about a centimeter from the end of the little finger and essentially say, “this much.” Having no idea of the purity of their opium, this gave me no meaningful idea of their tolerance, so we started with cautiously low doses. One middle aged patient from the Hmong tribe presented to the clinic and when I asked when and why he started opioid use, in broken English and with difficulty, he told me he had lost eight children during the Vietnam War, and was injured himself. After the pain from his injury had resolved, he still felt pain from the loss of his family and he decided to continue the use of opium to treat the pain of his heart, as he worded it. I thought about how similar his history was to the patients of the U.S. and how they often started using opioids and other drugs to dull the pain of significant loss and sorrow. I thought about how people of differing ethnicities are similar, when dealing with addiction, pain, and grief. 1. Pletcher M MD, MPH, Kertesz, MD, MS, et. al., “Trends in Opioid Prescribing by Race/Ethnicity for Patients Seeking Care in US Emergency Departments,” Journal of the American Medical Association, 2008 vol. 299 (1) pp 70-78. The long-awaited MOTHER trial is done, and the data just published. (1) MOTHER (Maternal Opioid Treatment: Human Experimental Research) was one of the first studies to follow pregnant opioid-addicts during pregnancy and up to 28 days after they delivered their babies. The purpose of the study was to compare the use of buprenorphine during pregnancy with the use of methadone. For the past forty years, methadone has been the treatment of choice for opioid-addicted pregnant women. This is because it prevents withdrawal in the mother and fetus. With short-acting, illicit opioids like heroin or OxyContin without the time release coating, the mother and baby get high peaks of opioid followed by periods of withdrawal. Healthy adults get very sick while in withdrawal, but they usually don’t die. However, the developing fetus can die during opioid withdrawal, and miscarriage or preterm labor are more likely to occur. Methadone, since it’s a long-acting opioid, can keep both mother and baby out of withdrawal for twenty-four hours, when properly dosed. Compared with opioid-addicted mothers left untreated, or treated with non-opioid means, methadone-maintained mothers have fewer complications, better prenatal care, and higher birth weight babies. Now for the bad part: about half of the infants born to moms maintained on methadone have opioid withdrawal symptoms. No one wants to see a newborn having symptoms of opioid withdrawal. And yet, it’s still better than the alternatives. But now, it appears that the use of buprenorphine during pregnancy gives as much benefit as methadone, but less severe withdrawal in the newborns. The percentage of babies with opioid withdrawal was similar in the methadone and buprenorphine groups, but the severity and duration of the babies’ withdrawal were markedly less. If a woman addicted to heroin or pain medications discovers she’s pregnant, her best choice is to get into treatment with buprenorphine. But if that’s not available, methadone is still better than other alternatives. 1. “Neonatal Abstinence Syndrome after Methadone or Buprenorphine Exposure,” by Hendree Jones, Karol Kaltenbach, et. al., New England Journal of Medicine, December 9, 2010, 363;24: pages 2320-2331.